What’s surfing got to do with learning? What have you learned this week? I learned that it is good to have a go at new things, realise what you are capable of at the moment, and work on something by starting "where you are at". I learned this through having my first ever surfing lesson! It was a beautiful day, 23 degrees … Continue reading What’s surfing got to do with learning? Source: Is it time to bin the idea of "Change Management"? SoMe, so what? Social media and Personal Learning Networks (PLNs) Vanessa North Social media and learning are great partners; learning by its very nature is social. In the field of learning and development the ability to connect with others has been dominated by the face-to-face vs e-learning divide. 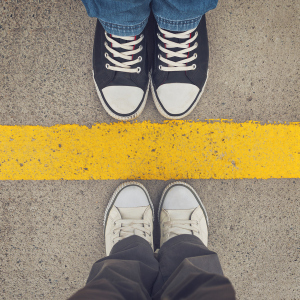 Social media crosses the divide and allows … Continue reading SoMe so what? 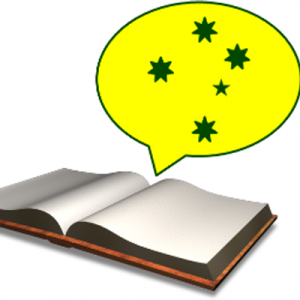 I’m very much looking forward to joining Con Sotidis for an #Ozlearn tweet chat on Tuesday 10th February at 8 pm Melbourne time, 9 am London time. Together, we’ll be discussing something that’s become increasingly important over the past few years: the L&D skills gap. L&D, like many professions, faces dramatic changes today, changes with their roots in technological, economic and geopolitical shifts that began in around 1990. Like most professions, however, we are still largely equipped with structures, attitudes and skills sets suitable for the world as it existed before that date. The Social Age sees us connecting, sharing, working and leading in online spaces. But it’s a mistake to think that the real change is in the technology. It’s not: it’s about the sociology. The technology deals transactionally: it can make links and traffic files. But the real change is in how large, cohesive and purposeful our communities are. It’s important to understand this from an organisational perspective, because if we mistake technology for sociology, we will likely spend our time, effort and resources in the wrong place. We maintain both weak and strong social ties: the people in our sphere of hearing are our weak connections. The totality of people in our networks: the people who know our name (or, maybe just our Twitter handle). 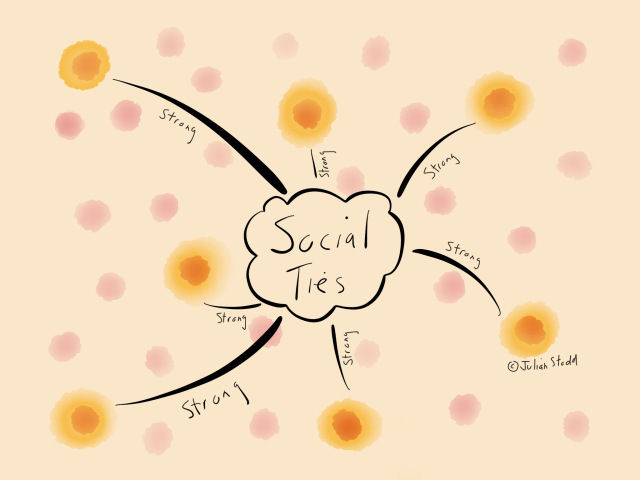 Our strong social ties are those to our friends, the people whose lives we impact more meaningfully.